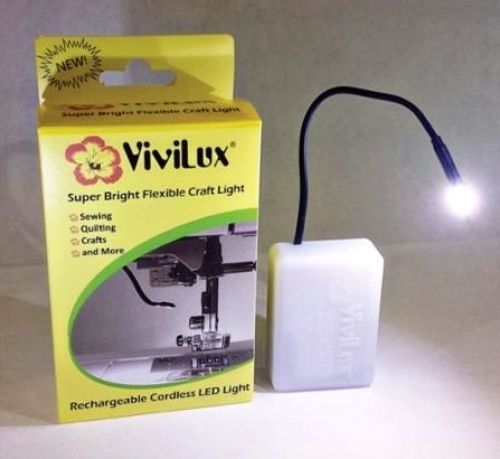 The Vivilux LED Sewing Light is the smallest, most versatile sewing light on the market today. No cords, repositionable, with an extremely bright adjustable LED light that puts bright light anywhere it is needed. Easily attaches to sewing machines and sergers or anywhere you need it. Battery life about 12 hours with continuous use. Contains rechargeable high capacity battery with USB charging cable (3 hour recharge). Recharge using a wall outlet or computer USB port.